Are you collect stamps ? This man should be sent to the police training collage for some time. The Sad part is that we have still not realized the collective Power of the Masses. In Thailand and Philippine, this even has managed to topple governments and yet we are unable to stop a policeman, who thinks that he is bigger than anybody else. Ethical Trader wrote: This man should be sent to the police training college for some time. දිගින් දිගටම විල්පත්තු වනාන්තර පද්ධතිය ආශ්‍රිතව සිදුවන මහා වනාන්තර විනාශයට එරෙහිව දැවැන්ත විරෝධතා ව්‍යාපාරයක් 2017 දෙසැම්බර් 14 වන බ්‍රහස්පතින්දා සවස 2.00 ට, කොළඹ 07 විහාරමහාදේවී උද්‍යාන පරිශ්‍රයේදී ආරම්භ වේ. ශ්‍රී ලංකික අප සැමගේ ස්වභාවික හා ඓතිහාසික උරුමයක් වන විල්පත්තු වනාන්තර පද්ධතියේ වනාන්තර අරාබි ආධාර මත වාර්ගික නිවාස ව්‍යපෘති සඳහා විනාශ කිරීමට එරෙහිව අත්වැල් බැඳ ගැනීමට පරිසර හිතකාමී දේශප්‍රේමී ශ්‍රී ලංකික ඔබ සැමට ආරාධනා කර සිටිමු. මව්බිමේ සොබා උරුමය වෙනුවෙන් මොහොතක් කැප කරමු. මෙය දේශප්‍රේමී ශ්‍රී ලාංකිකයින් සියලු දෙනාගේ සටනකි. 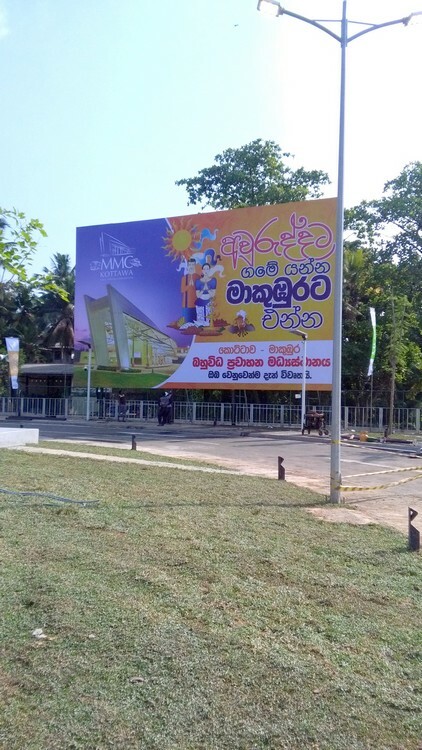 ඔබ සියලු දෙනාගේ සහය අපට අවශ්‍යයි. A massive protest campaign will commence at the Viharamahadevi Park on Thursday, December 14, 2017, at 2.00 pm, against the destruction of the forests of the Wilpattu jungle. We warmly invite you to join hands with the eco-friendly, and patriotic Sri Lankan citizens, to stand against the destruction of Wilpattu Forest Complex, a natural and historical heritage of Sri Lankans. Let us devote a moment to protect our natural and historical heritage. This is a struggle of all Sri Lankans. We need everyone's help. බන්කරේ මම අන්තරේ නුඹ ! කොළඹ නගරයේ යටින් ඇති ගඳ ගහන යථාර්ථය වෙනස් නොකර උඩින් මල් පෝච්චි තිබ්බට වැඩක් නැහැ. Some powerful 16 MPs from both the Government and the Opposition accepted money from the Perceptual Treasuries Chief Arjun Aloysius, Centre for Human Rights and Research (CHR) Executive Director Keerthi Tennakoon alleged today. Addressing a news briefing, he said the 16 MPs had obtained money on separate occasions via ‘crossed’ Cheques and cash cheques. The recent news story that a huge amount of money in our country’s currency was among the valuables found in the treasure trove unearthed from a private residence of the ousted Malay high political authority raised many eyebrows in our country. කලකට ඉහත වැසී යාමේ අවදානමට ලක්වී තිබූ ‘ගුරුගොඩ කනිෂ්ඨ විද්‍යාලය’ මේ වන විට හොරණ අධ්‍යාපන කොට්ඨාසයේ කීර්තිය දිනාගත් ග්‍රාමීය පාසලකි. අජිත් ප්‍රේමකුමාර විදුහල්පතිවරයෙකු ලෙස තම පළමු පත්වීම ලබාගෙන පැමිණි 2010 වසරේදී, ගුරුගොඩ කනිෂ්ඨ විද්‍යාලයේ පළමු ශ්‍රේණියට කිසිදු දරුවෙක් ඇතුළත් වී නොසිටියේය. “මම මේ පාසලට එනකොට ගුරුවරු 9 ක් සහ ළමයි 51 ක් පමණයි සිටියේ,” බීබීසී සිංහල සේවය සමග සාකච්ඡාවකට එක්වෙමින් ගුරුගොඩ කනිෂ්ඨ විද්‍යාලයේ විදුහල්පති අජිත් ප්‍රේමකුමාර පැවසීය. “ඒ අවුරුද්දේ පළමු වසරට එක ම ළමයෙක් වත් හිටියේ නැහැ, පහසුකම් ගොඩක් අඩුවෙන් තිබුණේ, මුක්කු ගහපු ගොඩනැගිලි තිබුණේ, ළමයින්ට නියමිත පරිදි පන්ති කාමරවත් තිබුණේ නැහැ,” විදුහල්පතිවරයා තමන් ගුරුගොඩ කනිෂ්ඨ විද්‍යාලය භාරගත් අවස්ථාවේ එහි පැවති තත්ත්වය විස්තර කළේය. මෙහෙම සල්ලි හම්බකරලා ද මුන් ලමයින්ට උගන්වන්න යන්නේ. ඉතින් ලමයි සත්තුවගේ හැදෙන එක අහන්න දෙයක්ද? And he had the guts to say that he is a regular Church Goer. 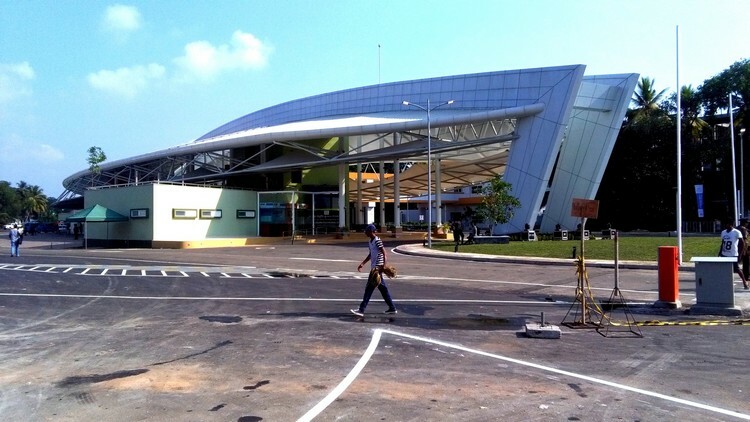 Makumbura Multi-model Centre, a novel concept of travel in Sri Lanka will be declared open and handover to the public this evening. All long-distance travel by road and Railway will be connected to the new facility. 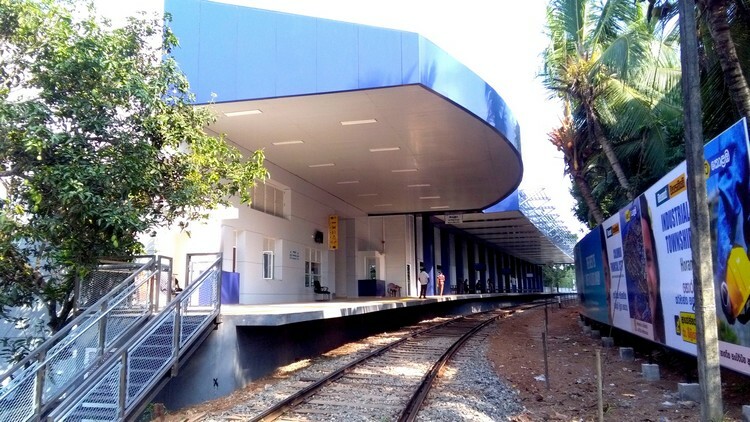 At a later stage, the use of one ticket to avail both road and rail travel will too come. By far this will be the most advanced and modern railway & bus stand in the country. Most of its energy requirements will be obtained by Solar panels installed on the roof.